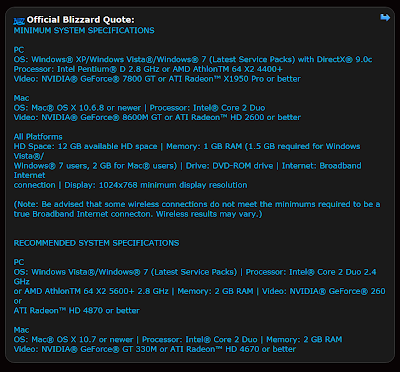 Here are the minimum system requirements for Diablo 3 announced by Blizzard. Also you can see there the D3 recommended system specifications. As with all Blizzard games the requirements are not high tech because their goal is to run the game on as many machines as possible providing in the same time nice graphics and gameplay. I saw some 1080p videos from Diablo 3 Beta on full detail and I can say that this game has amazing graphics with a well optimized engine. This is one important thing that I love to all Blizzard games, the scalability and optimization of their engine. In my opinion there is no point on making high tech games that run only on high tech machine. 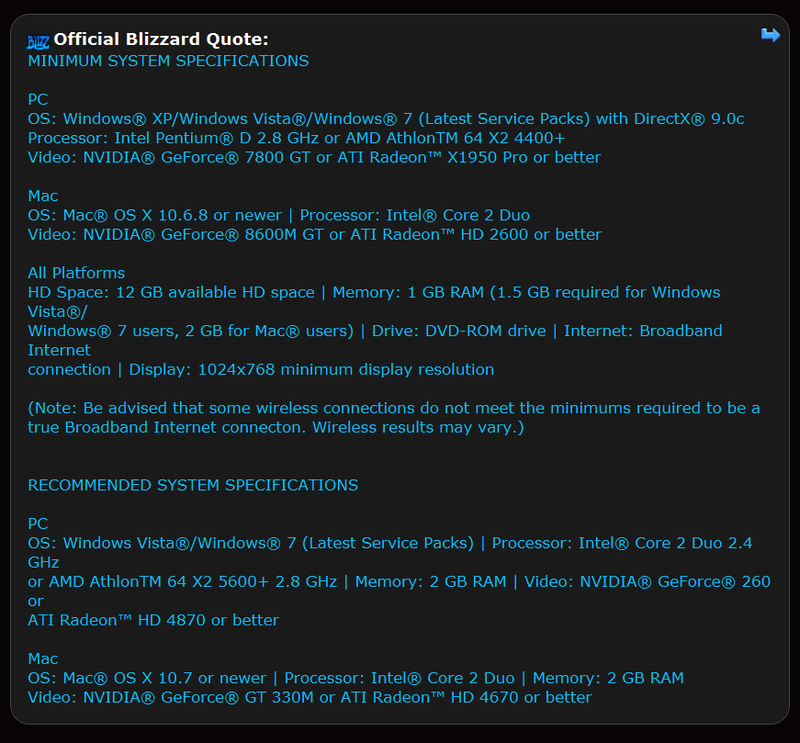 If you have a decent PC, you will be able to run Diablo 3 very smoothly. You these system specifications match your current PC configuration.